The structure of the feed should be adapted to the different animal groups, and a number of different grinding and milling machines are available for production of basic feed and fine-ground feed. For pigs and poultry, hammer mills and disc mills are commonly used for feed production. For cattle and other ruminants, the natural choice is a crusher or a SKIOLD Disc mill for feed production. 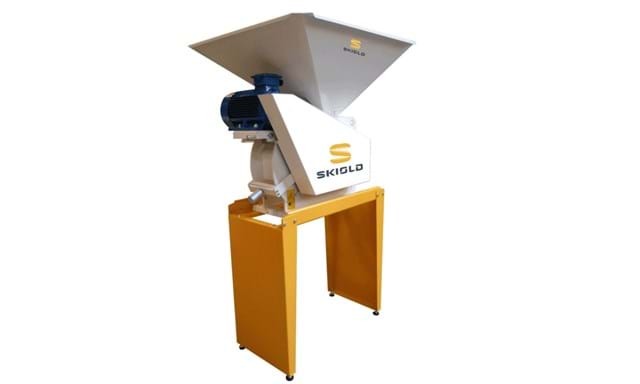 Regarding the question whether you should choose a SKIOLD Disc mill, Crusher or a Hammer mill for your milling & grinding plant, first and foremost depends or your need. We are always ready to advice you which option would be the best for your feed production in your specific situation. The SKIOLD Disc mills is based on proven and award winning technology and thousands of disc mills have been put into operation world wide. 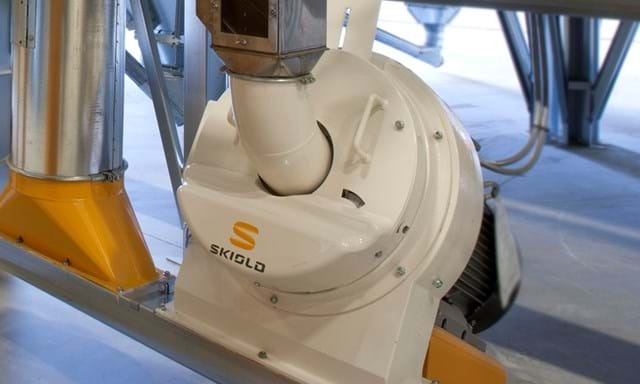 Every year the Disc mills from SKIOLD produces more than 20 million tonnes of feed. SKIOLD Disc mills are suitable for grinding of many different types of raw materials, including pellets with a diameter of up to 12 mm. One of the advantages of the SKIOLD Disc mill is that it´s possible to vary the grinding degree during operation, and thereby optimize the feed structure for different animal groups. Other advantages are its very low noise level in operation, exceptionally long durability of wearing parts, and high capacity with low power consumption. With its compact construction, the SKIOLD Disc mill can easily be incorporated into new as well as existing plants. DM is the type designation for SKIOLD's range of hammer mills. The DM mills are made in a very solid and simple construction, and have a transportation capacity of up to 80 meters. The DM3 is also available in a Prof-Line version, with longer durability for wearing parts. All wearing parts are easy to replace by original spare parts from SKIOLD. In addition to the traditional hammer mills, our range includes a gravity mill, DM6, and a WM version for grinding of moist maize (CCM). With SKIOLD's complete range of crushers, there is a crusher for any herd size - from a few horses to many hundreds of dairy cattle. The crusher program includes two standard models, each available in different versions: Drive on two or three rollers, different motor sizes, different capacities, different outlet heights. There are a large range of accessories available: intake or extension hopper, compact feed mill unit (crusher & mixer assembled), capacity regulation. SKIOLD offers a large selection of high quality spare parts for both hammer mills and disc mills.